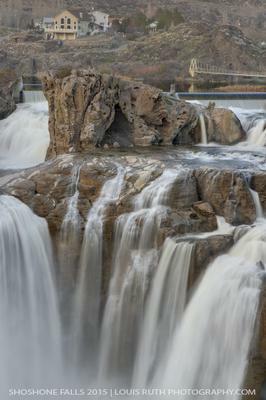 Valentines Day of 2105 Shoshone Falls had 32,000 feet per sec running for a spectacular water showing. The falls were fierce as the water spray. Waiting for a nice clean shot with less water spray was hard to do. 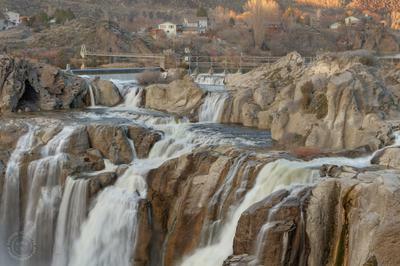 These two show show the falls close up. A circular polarizer was used to control the UV glare.